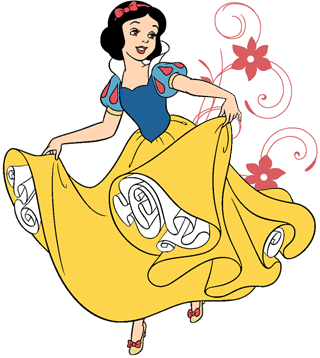 Escaping the wrath of her jealous step-mother, the Queen, the lovely princess Snow White finds shelter in the cottage of the seven dwarfs. 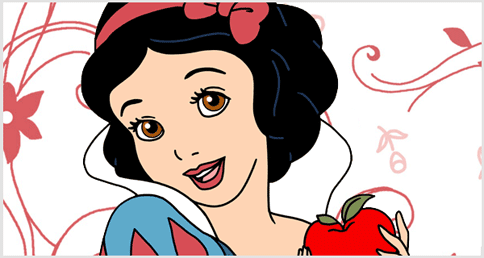 Snow White appears within the first two minutes of Snow White and the Seven Dwarfs, released on December 21st 1937. She is first seen scrubbing the stairs in the castle courtyard. Subsequently, she appeared in the motion picture Ralph Breaks the Internet: Wreck-It Ralph 2.